If you are looking for Affordable Rail Ticketing Services in Raigarh, ASHISH TOURS & TRAVELS is the name to lead with. The bouquet of our Rail Ticketing Services encompasses assistance for Rail Ticketing Services like Sleeper Class Rail Ticketing, Non AC Class Rail Ticketing, Tatkal Rail Ticketing, and AC Class Rail Ticketing. Our expert professionals ensure that all your critical details are used in the most ethical manner, as to book the rail ticket only. 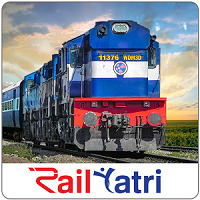 So come and avail our assistance, and get rid of hustle of booking the rail ticket.